An Evangelical Free Church which was built during the Imperial period. It is situated in Railway Terrace, Rugby. 1 A tall building of red brick and stone, dated 1887. In normal use. Findspot - a flint scatter, comprising flint artefacts of Mesolithic and Neolithic date, was found at Bilton High School. The site of a railway signal box, built during the Imperial period, and marked on the Ordnance Survey map of 1886. It was situated 200m northeast at Whinfield Park, Rugby. A Nonconformist mortuary chapel which was built during the Imperial period. The building is still standing but is in use as a tool store. It is situated in the Clifton Road Cemetery, Rugby. The site of a railway viaduct that was built during the Imperial period. It is marked on the Ordnance Survey map of 1886. The viaduct was situated 1km north west of Rugby Station. The site of a Medieval church which has been partially excavated. The site of the church is also known from documentary evidence and the remains are visible as an earthwork. The site is located at Stretton Baskerville, 1km south west of Sketchley. Site of Chapel of St Dennis at Bradmore, Honington. The site of the Chapel of St Dennis at Bradmore, dating to the Medieval period. The chapel is known from documentary evidence and from finds of Medieval pottery and other objects. It was located 600m south of Pen Covert. 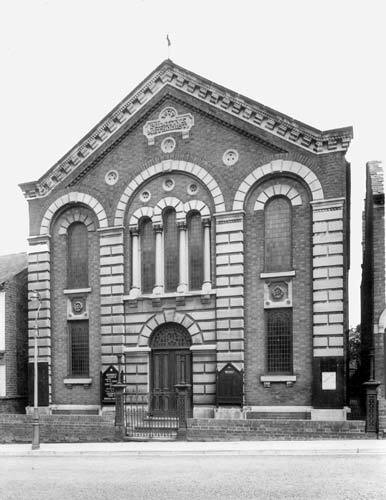 A Methodist Chapel and attached Sunday School built in the Imperial period. There have been later additions to the south side. It is located on Priory Road, Kenilworth. The Church of St Giles which was originally built during the Medievel period. Alterations were made to the building in subsequent years. 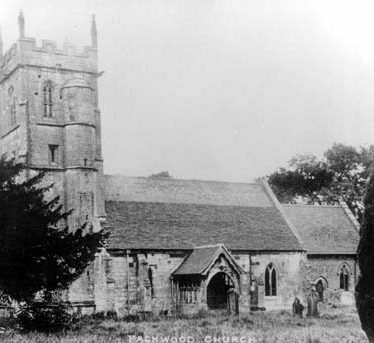 It is situated due east of Packwood Hall.